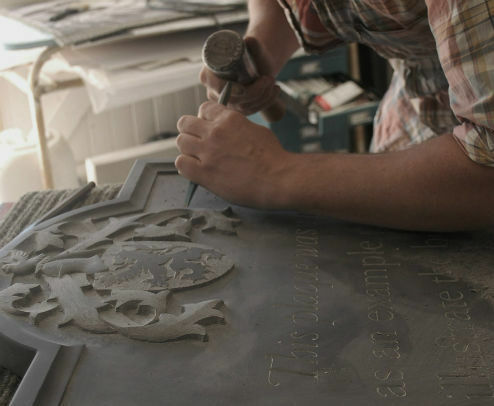 We are currently looking to take on a new letter carving apprentice. Positions like this only come up every few years and there are very few available in the country. This is a very exciting opportunity for anyone who is interested in learning this traditional skill. Ideally, we would like someone who lives locally. We are based near Burford, half way between Oxford and Cheltenham, in a Cotswold Village. You do not need any previous experience, only patience, and dedication. We particularly welcome anyone who will be comfortable in a quiet, workshop environment and it essential that you will be willing to commit to a minimum of four years. For further information please email Fergus in the first instance.